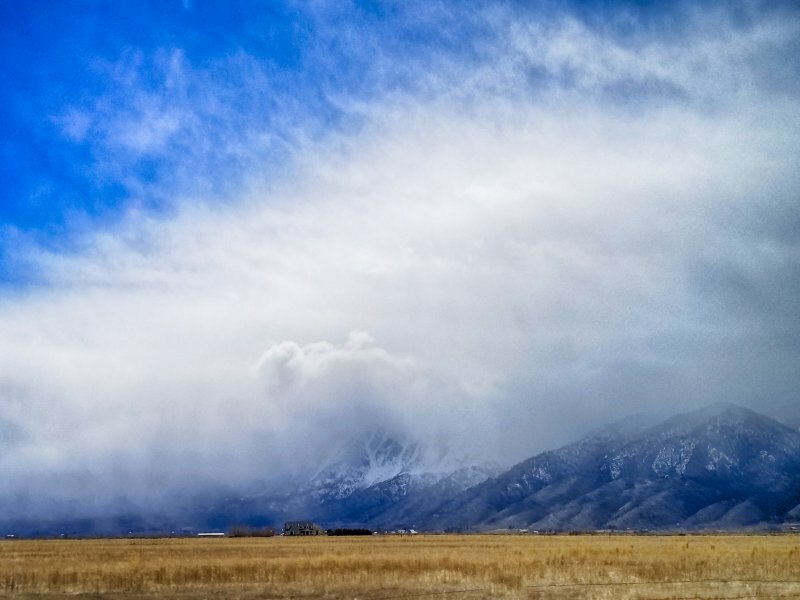 Home » Why Visit Carson Valley Nevada? 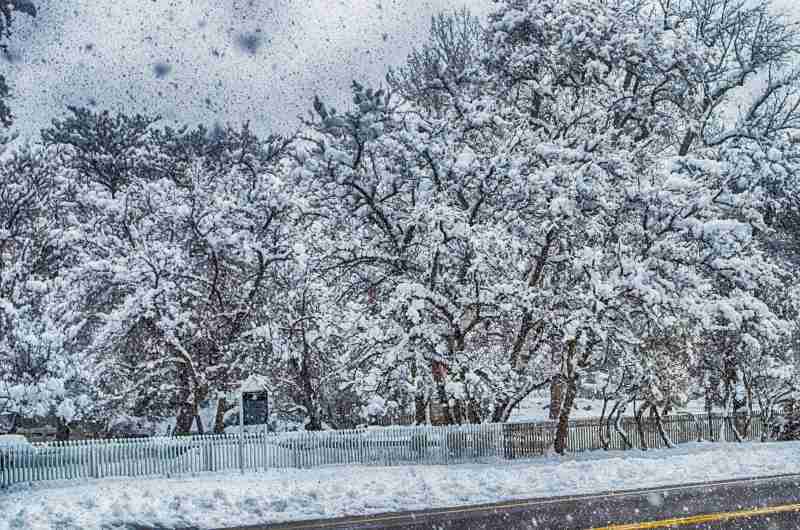 Why visit Carson Valley Nevada? The question even prompted the area using the hashtag #WhyCV. Well after spending some time in Carson Valley I can tell you why you should visit. Carson Valley became popular as a stop on the way to the California Gold Rush in the 1840’s and is home to Nevada’s oldest settlement. Bordered by Lake Tahoe and the Carson Range of the Sierra Nevada Mountains, Carson Valley sits on Nevada’s western border. Located 45 minutes south of the Reno the Carson Valley region encompasses Minden, Gardnerville, Genoa and Topaz Lake. 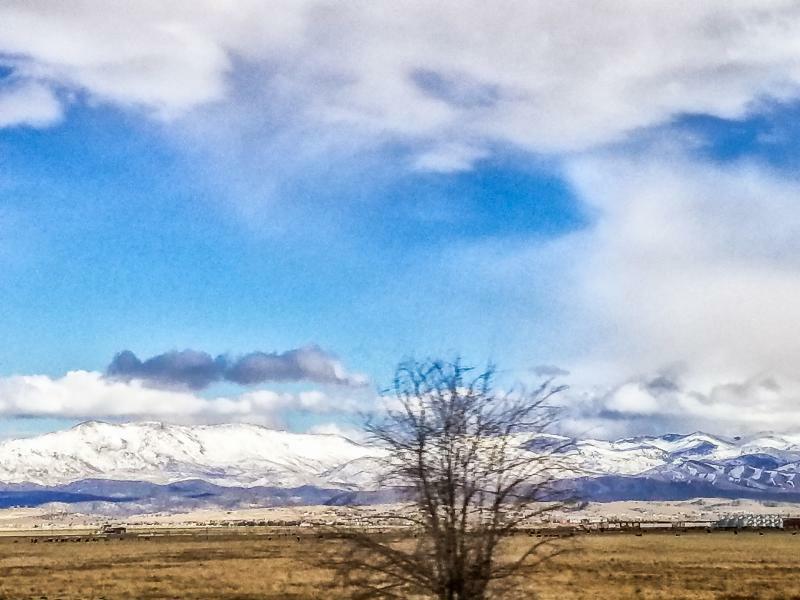 US Route 395, which runs from southern California to the US Canadian border, runs through Carson Valley and as a result many people pass through without stopping to enjoy this historic and beautiful part of Nevada. The area around Genoa was a well traveled area in the 1800’s with trappers and people passing through headed to the California gold rush but it wasn’t until 1851 when John Reese and his party settled in the area that a permanent community was established. 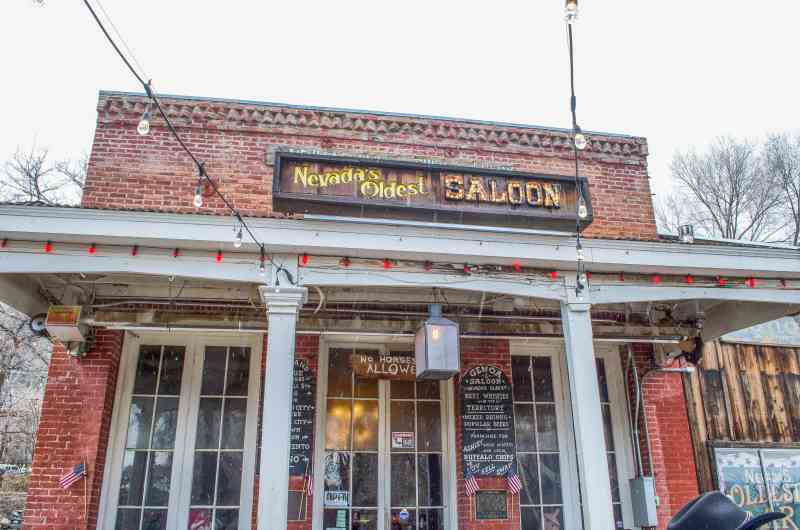 The oldest community in Nevada, Genoa boasts boutique shops, restaurants and the oldest bar in Nevada. Mormon Station State Park is located right in the middle of town. Consisting of a historic stockade and wagon shed, picnic areas and a museum, the park is a great starting point to learn about Genoa. Built in 1851 as a trading post this is where Genoa got its start. With thousands of people heading west, the last stop for supplies was Salt Lake City. As part of the Utah Territory, the town was originally named Mormon Station for the people that settled there and opened the trading post. In 1855 the town was renamed Genoa, honoring the birthplace of Christopher Columbus. Today you can visit the museum which holds items from early Genoa and if you are lucky get a guided tour of the town by local historian Kim Harris who brings the town history to life. 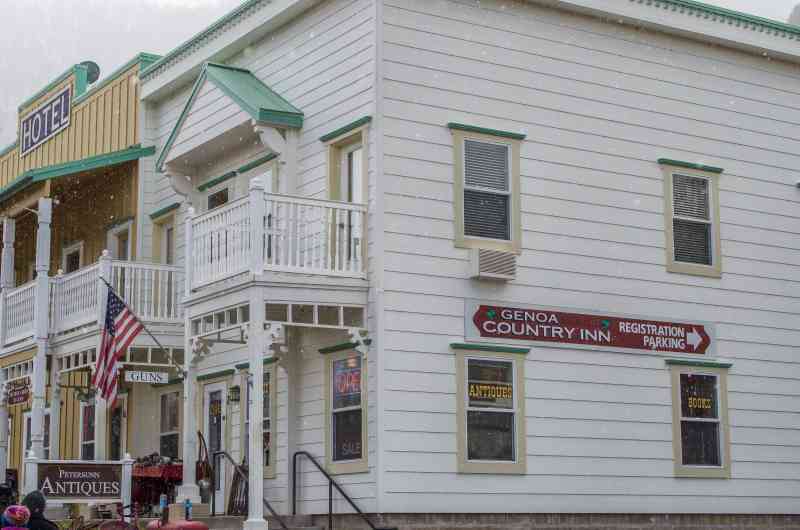 Genoa Bar and Saloon was built in 1853 and has hosted a lot of people over the years. 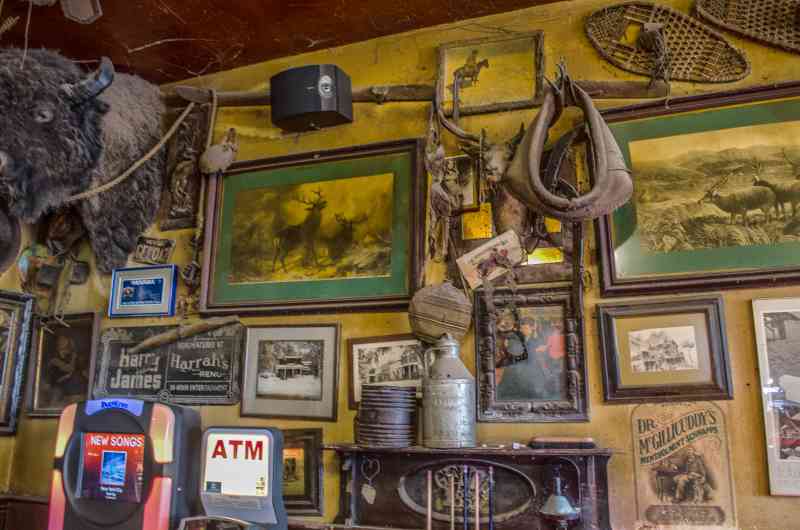 Everyone from Presidents, actors and actresses and every Nevada Governor has graced the Genoa Bar at one time or another. 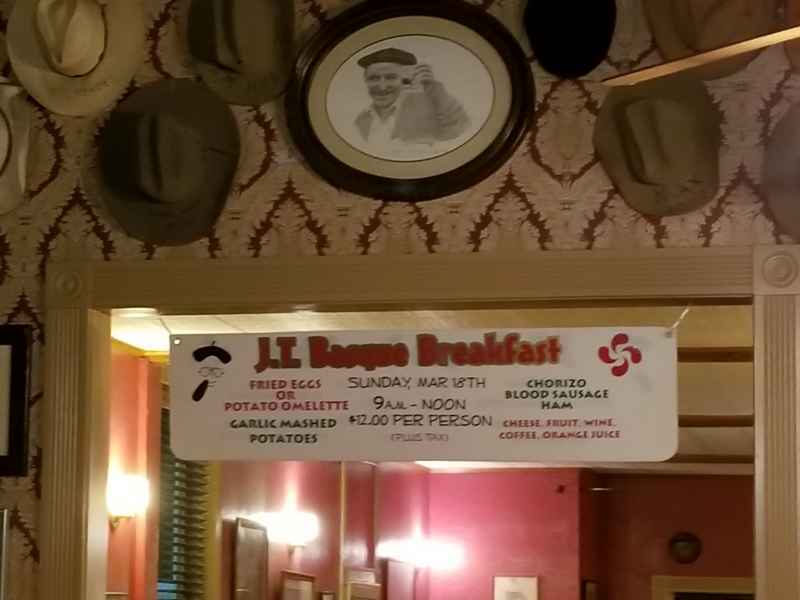 Mark Twain, Ulysses S Grant, Theodore Roosevelt, Clark Gable, Richard Boone and many more have stopped in to have a drink. Take a look behind the bar and you will see a diamond dust mirror imported from Scotland in the 1840’s. One of the bar traditions was to have the ladies leave their bra hanging on the wall. When actress Raquel Welch visited she was asked to leave her bra also. Welch agreed on the condition that all others be taken down. Welch’s dusty leopard print bra is still hanging on a set of antlers on the wall and all the rest are located in a safe nearby. You can peek in the safe but be prepared to pay the price of one bra for the privilege. Today Genoa bar is still a place for locals and visitors alike to meet, chat and have a drink. When you visit try Peg’s Bloody Mary, you won’t be disappointed. The Pink House has gone through a lot of owners over the years. 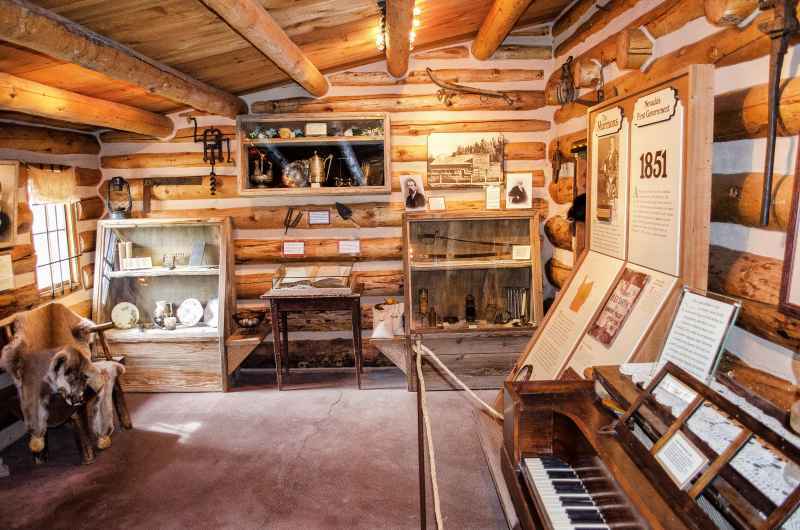 From the original owner, John Reese, who established the trading post that would become Genoa to the current owners Dan and Lois Wray, the house has been an important part of the town. It was in 1870 that a local merchant bought the home and painted it pink that the home got its name. 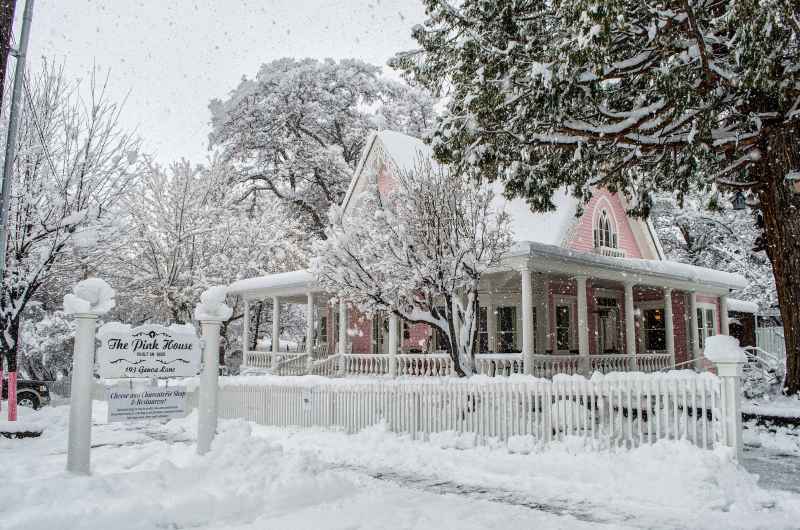 Listed on the National Register of Historic Places, today the Pink House is a popular place for lunch and dinner along with events and meetings. They have a saying, “Real men eat at the Pink House” and if you step inside you can see why. 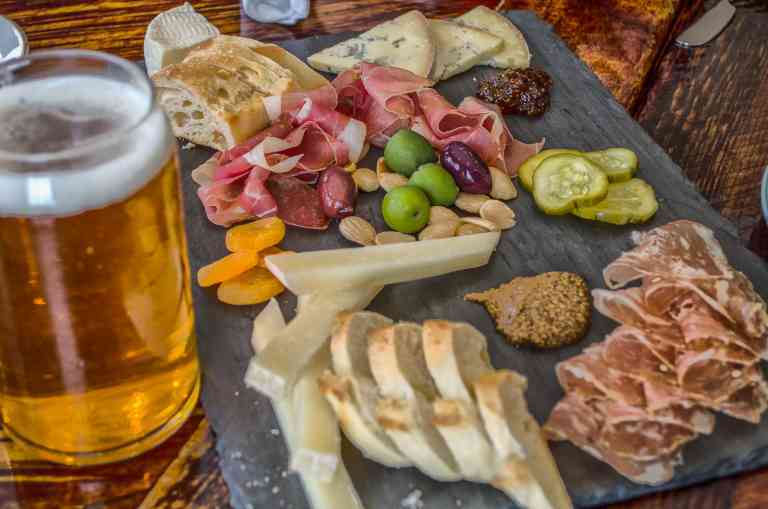 With an assortment of craft beers and whiskeys to the unique domestic cheeses and charcuterie plates the Pink House will not disappoint. Everything I saw being brought out looked fantastic and be sure to leave a little room for dessert. There are several shops around town, all within walking distance. There is also a museum in the old courthouse and several historic markers around town. In 1879 Lawrence Gilman purchased a home near Genoa and had it moved to some land near the Carson River. The building was converted to a hotel and soon other businesses sprang up and the community of Gardnerville was born. 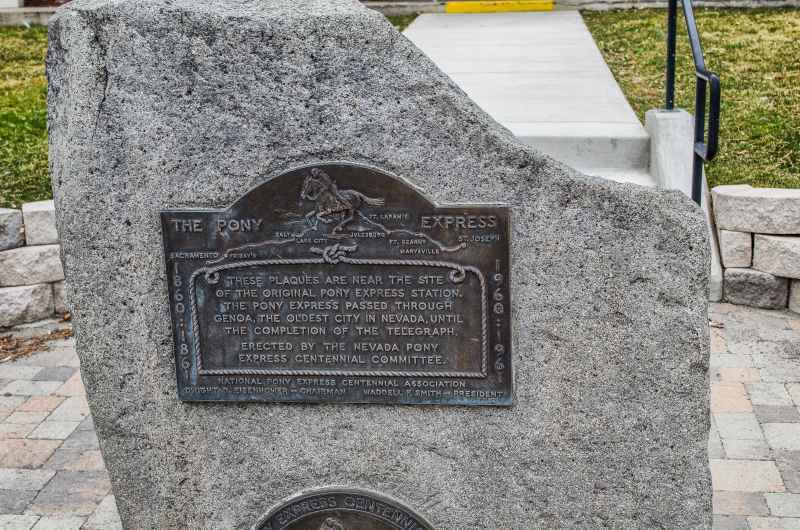 Located on US Route 395, thousands of vehicles pass through this town on the way to Reno and points north. 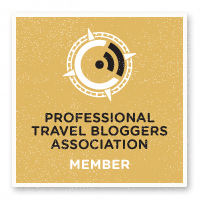 For those that stop great food and hospitality await. J.T. Basque Bar and Dining Room is a popular restaurant and hang out for people in the area. The building was moved in 1896 from Virginia City Nevada and has served as a hotel, saloon and dining hall for over 100 years. Dining at J.T. Basque is an experience. The food is locally sourced and in traditional Basque Family dining experience there are very few small tables. Most of the dining tables are set up for large family style dining and the atmosphere is fun. 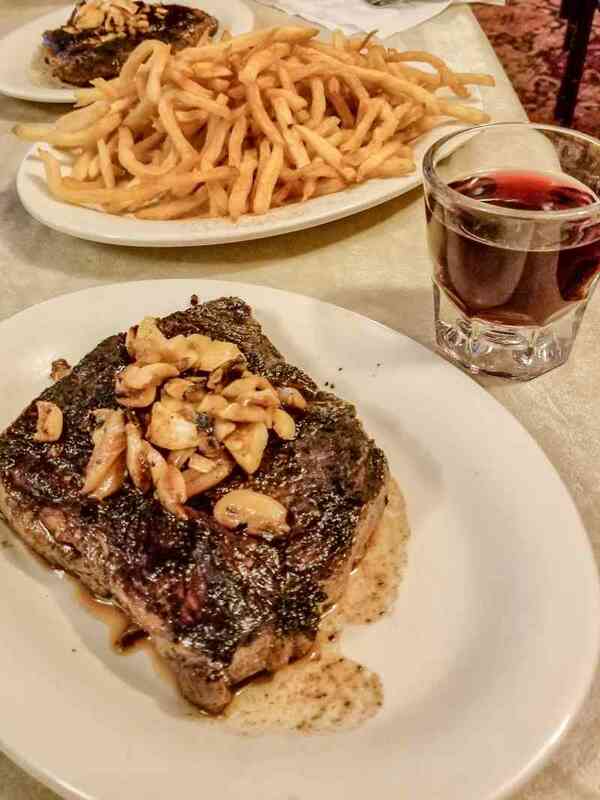 When ordering you choose an entrée and then the table is filled with Soup, Salad, Stew, Beans, French Fries a bottle of Red Wine and finished with Coffee & Ice Cream. Be sure to order the drink specialty Pincon Punch. 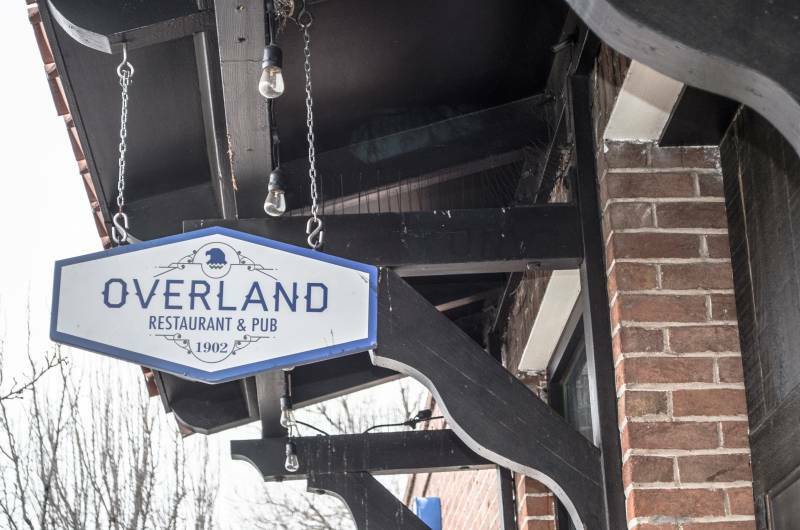 Located in another 100 year old plus building is the Overland Restaurant and Pub. 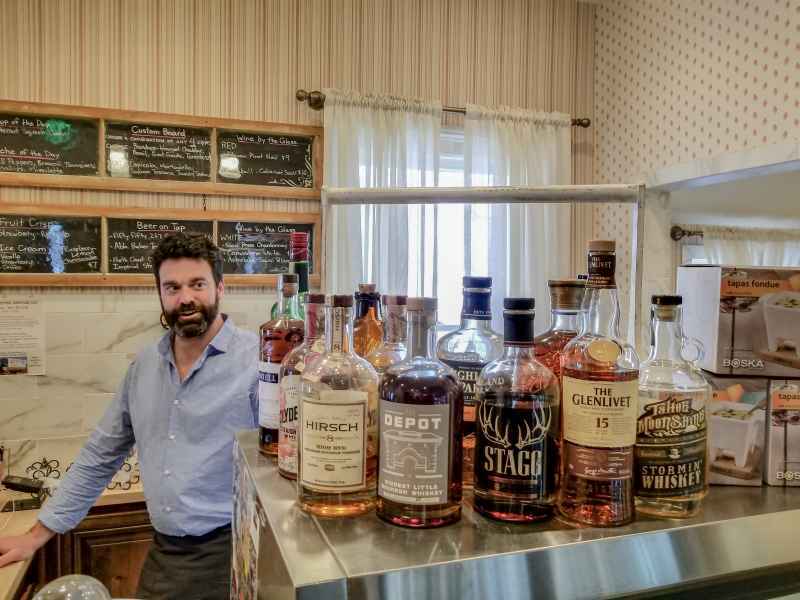 The crowded, popular restaurant is a must stop in Gardnerville. 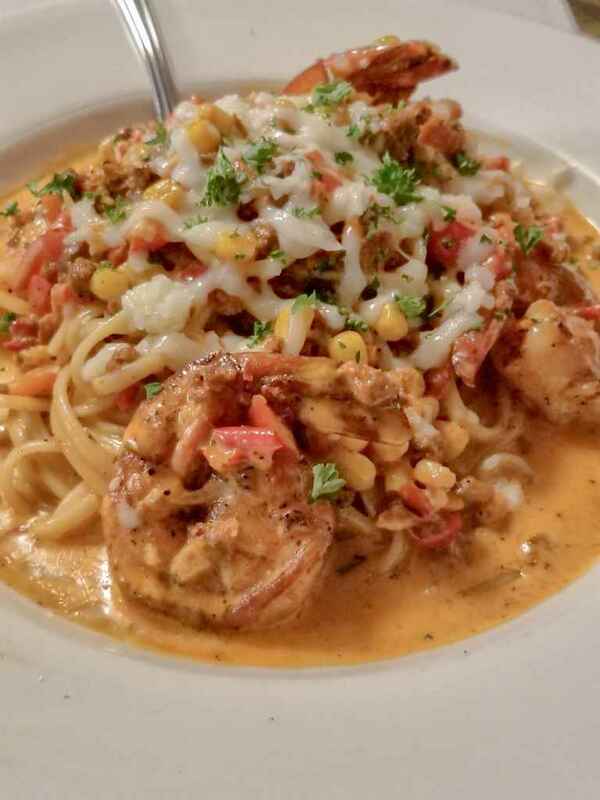 Whether you want to meet and have drinks or indulge yourself with dishes such as organic King Salmon, Blackened Shrimp and Chorizo Linguine or one of their Ribeye’s. Leave room for dessert and I would recommend getting the bread pudding. They have two versions, regular and fried. The fried bread pudding is really good. If you want to make sure you get a table you should make a reservation otherwise you might be in for a long wait. 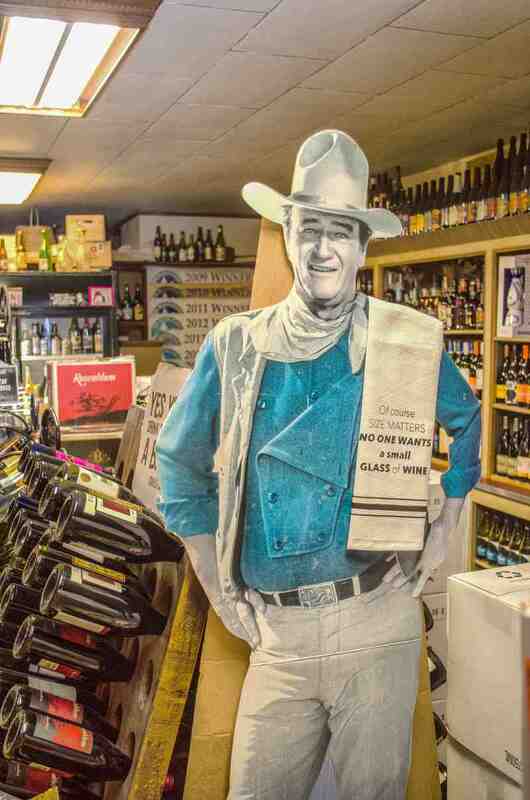 Okay, why should you stop by a liquor and wine store? Because it is a really cool place and the owner Troy Phillips is a great host. Besides just stopping in to buy something, Troy hosts several events monthly. For the last nine years Battle Born Wines has been voted the best place to buy wine in Carson Valley. With Troy being a certified sommelier there is no wonder why. Hand selected wines, craft beers and an excellent selection of spirits makes stopping in for a visit well worth your time. 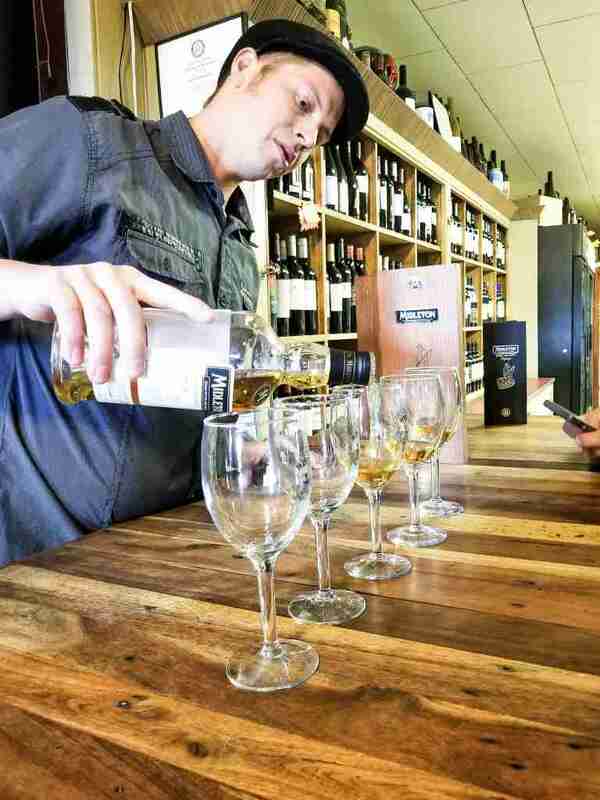 Throughout the month whiskey and wine tastings take place where you can sample and learn about various spirits and mingle with a great group of people. In 1905 H.F. Dangberg Jr established a European styled community naming it after a German town near his father’s birthplace. Minden is the county seat of Douglas County and the heart of Carson Valley. There is great shopping, Casinos and lots more. The soon to be open Bently Heritage Distillery is located in the century old Minden Flour Mills. Careful consideration has been made to ensure the building has been restored to modern LEED certified standards. With an emphasis on quality control the distillery uses grains and botanicals grown on the Bently Ranch and malt in house at the largest malting facility in Nevada. The spirits distilled at Bently Heritage will have the distinction of using sustainable production from one source. The small Minden-Tahoe Airport has a lot of big things happening. Minden is the soaring capitol of the US with people coming from around the world to enjoy the perfect conditions to soar. There have been gliders that have been able to soar for 14 hours due to the conditions in the Carson Valley and one went all the way to Rapid City South Dakota. Not bad for a plane with no engine. One of the big events each year is the air show. 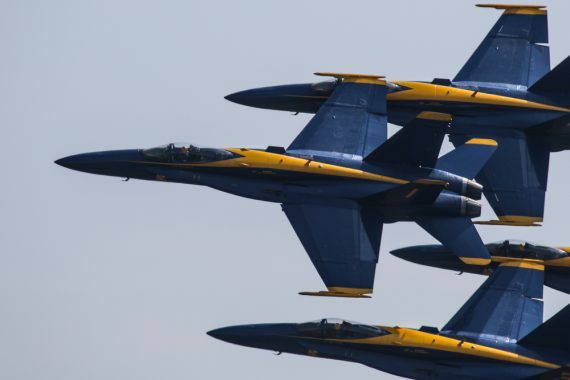 Historic aircraft, Aerobatic aircraft and precision flying by the likes of the Blue Angels make a great air show. Unlike air shows in larger locations, you get the same quality but with a lot less people which allows you to interact with the pilots and get up close to the aircraft. My friend Colby wrote a great article on the air show on his site Days of a Domestic Dad. 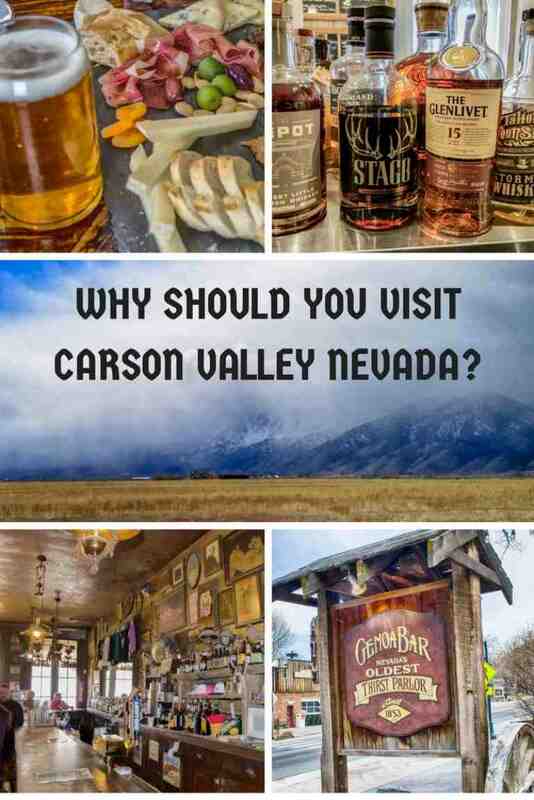 You have several options when visiting Carson Valley. From small boutique hotels in Genoa to larger full service ones. The one I stayed at was the Carson Valley Inn and Casino in Minden. It is a perfect location for taking in all the sights in the surrounding areas and makes for a great place to relax when the day is done. 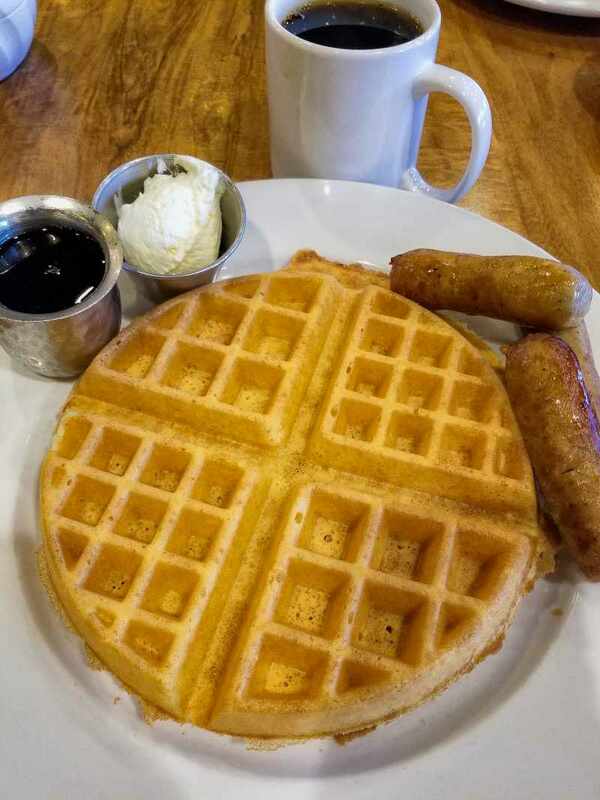 Carson Valley Inn has a great restaurant where you can get anything from a cup of coffee to a full country breakfast in the morning before heading out. There is also a steak house and a coffee shop. The casino offers all types of gaming if you want to try your luck and live entertainment if you just want to sit back and have a drink and relax. 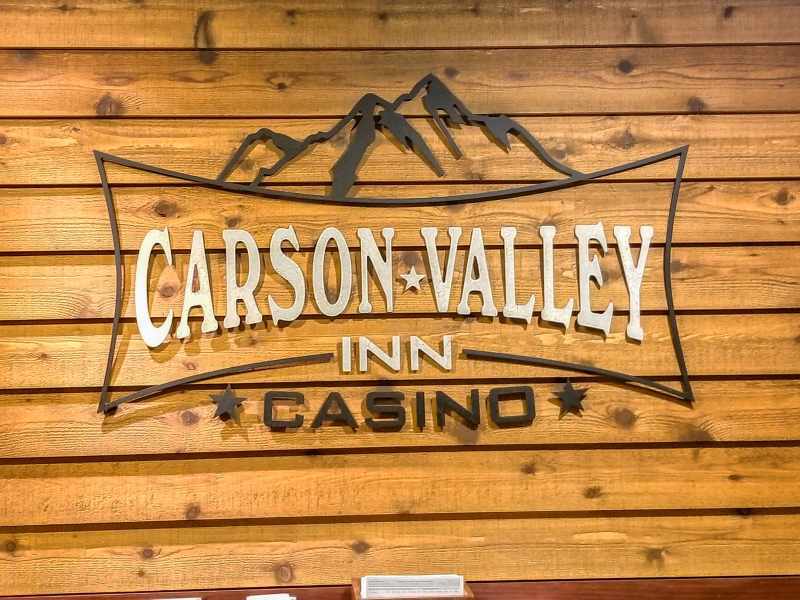 My buddy James wrote up a great review on the Carson Valley Inn on his site Mantripping. There is a lot more to do than we had time to get to. The area offers tours to see eagles and wild horses, great fishing, skiing and snowboarding, golf, hiking and off road adventures. 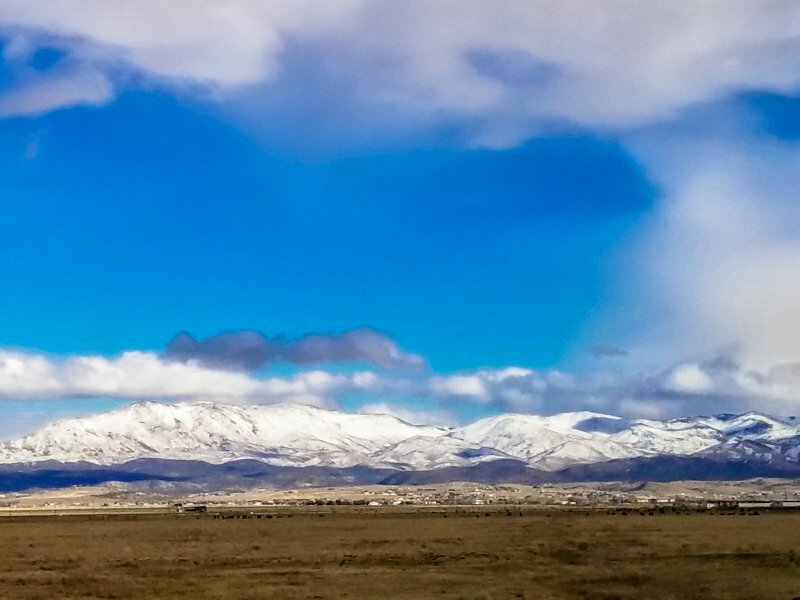 If you are traveling to Reno make time for a side trip and if you are driving up from California, do yourself a favor and spend a couple of days in this beautiful area of Nevada. Wow, this looks like such an incredible place to explore! Mormon Station State Park looks especially lovely — I love that rustic vibe! Wow, I love the photos. It looks so stunning there, Thanks for posting!